If we are to believe those who let some exciting tidings slip into the rumor mills, there’s delight on the e-driving front. A very cryptic tweet could have opened up the possibilities of an even more efficient and faster Tesla S arriving soon. A tweet from a renowned and respected Tesla hacker arrived and was broken down by those with the curiosity to do so. Jason Hughes is famous from the early Model S days and decoded what looked like P100D in the rather curious looking text. Hughes found out about Tesla working on a 100 kWh, which is leagues beyond the 60 kWh model. 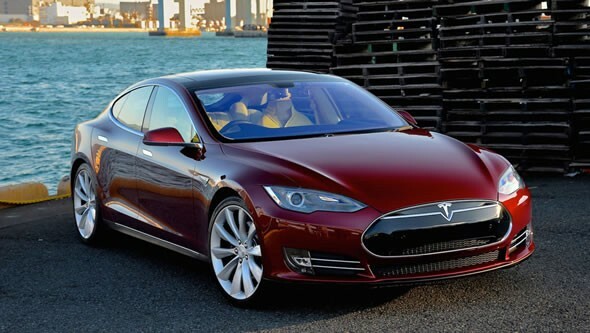 There is no official word from the company, confirming the fate of the Model S receiving any such update. But, there is a good chance that the update may end up in a Model X. What this could imply would be a 300-mile drive in one of the world’s most energy efficient cars.